To receive we must give. Co-operation is crucial in order for you to survive. They are reminding you how unimportant and temporary things are – especially those things that irritate you. She is showing you that you can overcome these small things by focusing on protecting our creative projects and ourselves from those who wish to undermine our goals. Alternatively if Mosquito is a constant pest in your life then you need to look at your environment both at work and at home. Something needs to be changed within it. You have chosen a somewhat difficult life path as you tend to float in the realm of high ideals. You are constantly aware of your own self worth and are re evaluating your friends, family, and goals in life. You have a tendency to be blunt and easily find fault in others – however often recognize that what you find lacking in others is reflected in yourself. You tend to feed off of those around you in order to feel nourished. 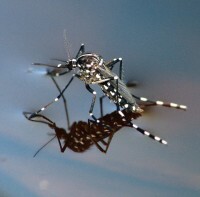 Mosquito people are persistent and opportunistic and unafraid to use others in in order to reach their goals. Awareness of these traits within you are an opportunity to use these shadow aspects in positive ways. The difficulty is in finding nourishment without impeding the progress of others. The wisest of Mosquito people learn to disperse their shadow energies in unique and creative ways. The know how to poke just the right spot in their peers in order for them to grow. To see a Mosquito in your dream suggests that either a situation or a person close to you has been draining your energy and resources. You have been focusing on issues that do not apply to your own personal growth or getting caught up in the drama of others. One way or another you are having your energy drained in a way that is not healthy for you. To dream of killing a Mosquito means that you are successfully setting up boundaries and overcoming the obstacles that have been impeding your own personal growth. Happiness and good fortune are just around the corner. Remember that mosquito’s bite to feed their young. Their bite is only a small agitation to maintain the survival of their family. It may be a sign your worries about the strain you put on those around you is not fatal, and are not to be worried about, especially when necessary for you to get what you need to ‘survive’. Also, when a mosquito bites you the best option for recovery is to just leave the spot alone. 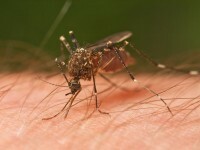 Scratching and agitating the area only spreads the poison and prolongs the duration of the symptoms. 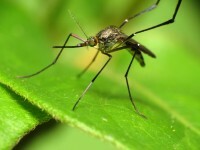 In this light the mosquito may be a sign that the best course of action in your current situation is to leave it be or you will just prolong and intensify the discomfort or pain.